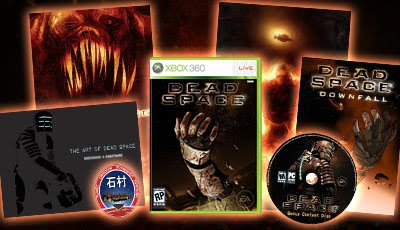 In September 2008, EA released a "Ultra Limited Edition" version of Dead Space. They only made 1,000 of these and quickly sold them out at $149 each. One of these is now up for auction on ebay and is already selling for almost $200. I haven't seen one of these for sale in a long time so it will be interesting to see how high it goes. It is already the most expensive Xbox 360 game at it's current price. The "Ultra" in the title confuses me a bit. EA didn't make a regular limited edition for Dead Space. Wouldn't this game just be "Limited Edition" instead of "Ultra Limited Edition"? It sounds like an amp that goes to 11 instead of 10. Either way, next time EA releases a "Super Duper Limited Edition" version of a game I will be sure to buy it. UPDATE: On February 16th someone listed a sealed Dead Space Ultra Limited Edition for auction and it was purchased within about three hours with the Buy It Now price of $458. The sealed version of this game would definitely sell for more than $450 in an auction. It's funny how the auction doesn't even include the software, just the bonus content. Crazy that it's already that expensive. I rented Dead Space a few months ago and really enjoyed it. Looking forward to the sequel! Congrats SniperREX on being one of the lucky few to buy it. Do you think you will ever sell it? I ask because Uncharted 2's "Ultra" Limited Edition sells for about $1,000 new and I am curious if Dead Space ULE would sell for about the same amount. If you do list it on ebay, be sure to let me know. Anonymous - unfortunately you are probably right. EA will make 10,000 of them next time so they can make some more money. I can understand it from their point of view of EA, but it is fun having some really rare games out there. You got me a freebie from the last E3. So, you'd be the first in line if I'm ever gonna sell it :). On a side, note I will be going to E3 again this year and will be getting more freebies. If you respond fast again this year you might get more of them. Were these only available through EAStore? I don't own an Xbox360, so I never paid any attention to this release before reading about it today. enderfall - Yes, it was only released on the EA Store. It was never sold at other stores or other online sites. I hadn't heard about this game until about a month ago so I don't think EA hyped it up much. Plus it probably sold out so fast that they didn't need to. If I remember correctly, there were still copies available on the EA Store a few days before release date. It reached $400-500 on eBay on the first week following release. You would definitely enjoy E3. How would you be going? Do you have a connection that can get you in as an insider? If you do go, we should definitely meet-up during the show. It's always fun to meet VGPC readers and fellow gamers. I'd take a plane. Yes, I think. A few friends of mine run a small gaming website. I'd love to, but I'm still not sure if I'll be able to attend. I don't know if I can get a few days of vacation. I work with my father. I haven't seen any sales at $1,500 yet but it has sold for $800+ so prices are definitely increasing. Ebay buy it now 1,700 and another for 1,299 holy crap! its just a game? ?